Richard Sims, the owner of 911 Restoration Central Mississippi, believes “homeowners deserve a disaster restoration company that is trustworthy, affordable, reliable, and professional,” which is exactly what he will make sure you receive if your home or business is affected by a flood, fire, or another disaster scenario. 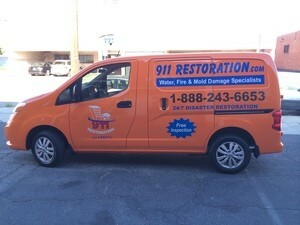 For these reasons, Richard is proud to announce that his restoration team is here to aid them, in any disaster matter. The benefits of working with 911 Restoration Central Mississippi includes staying available 24/7/365, arriving within 45 minutes for water-related emergencies. Being there as fast as possible with immediate relief is how we ensure your peace of mind, and to make sure you get the best services available, we work with IICRC certified technicians. We value professionalism, so trust in our licensed, bonded, and insured team and that the free estimate we provide you is the honest truth you need. 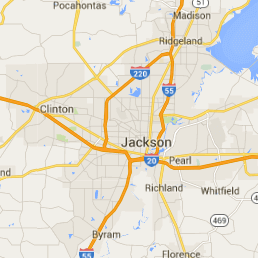 Our disaster restoration Jackson experts are here to provide you with a fresh start, so call us at 911 Restoration Central Mississippi after a disaster has impacted your home or business. 911 Restoration Central Mississippi is capable of providing you with the most thorough damage restoration that the community can rely on. 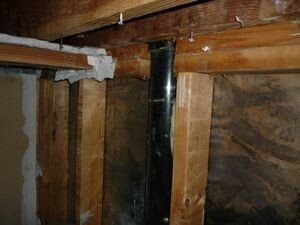 To elaborate, any damage caused by a flood, storm, or pipe burst is manageable by us. The rigorous courses we have taken means we know how to work with material from ceramic, to carpet, wood, drywall, basements, and any type of building material found in the home. Moreover, our years of experience have proved that we are more than capable of handling fire damage and sewage clean up as well. What homeowners truly need is a meticulous group of technicians that know where to look for obvious repairs and the ones that are hidden. To elaborate, after a flood there is more water in the subfloor than there will be pooling above it. The difference and effectiveness of restoration are completely dependent on how knowledgeable the technicians are. For example, our techs always start off with some infrared cameras in order to see where water is hidden. After that, we bring in dryers, blowers, dehumidifiers, and vacuums. Circulating air, decreasing ambient humidity, and removing water safely is the first step in keeping your living space dry and avoiding further damage like mold from festering. We value professionalism, so trust that we will not cut any corners and that your disaster restoration job will be done with the utmost attention. If you are in need of a new beginning after a disaster, call us at 911 Restoration Central Mississippi. Some disasters, such as a flood, are unpreventable. However, you can still prepare for them in order to save yourself from major harm to the home, body, and mind. Disaster readiness is all dependent on having a plan. For example, in the event of a flood, if you are a property owner that had a plan ready, then you will vastly more prepared to handle the aftermath of a disaster. Sit down with your family and discuss how to better react to an accident. Going back to the flood, reaction response will not be the same plan for something like a fire. When water gets into your home you are going to want to find elevated ground, which an attic or a second floor is perfect for. On the other hand, in a fire, you want to evacuate the home or building and find a safe place outside to rendezvous. Moreover, a disaster kit would also help a great amount in the event small injuries occur. Having a first aid station will help quell small cuts and burns. On top of that, property owners can also benefit from having extra cash on hand and a flashlight. After some disasters, telecommunications can be down, and power will not be working. Being warm and having a means of eating is also imperative. Stocking up with blankets and canned foods will alleviate further worry. So, if you do experience a disaster, call the disaster restoration Jackson team at 911 Restoration Central Mississippi and we will do whatever we can to make sure you are taken care of.